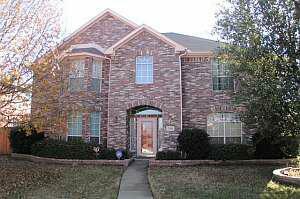 Rowlett TX Homes For Lease – Executive lease home with in-ground pool and spa. Huge home with three living and two dining areas. Kitchen has laminate flooring, a gas stove, and plenty of storage. Master bedroom has plantation shutters and a fireplace that looks into the master bath with a garden tub and separate shower. Oversized game room could be fifth bedroom. Lease includes refrigerator, washer, and dryer. Pool and yard maintenance for a monthly fee. Click here for current status, pricing, a virtual tour, and photos.